Josh Capon took Rachael’s cameras inside his home to demonstrate how he creates rollover meals at home for his family. Rollover Meals help you save time and money. I love eating leftovers from dinner for lunch the next day, but I thought that was just called leftovers! I guess the difference is that you can transform the leftovers into something new. Capon made a Short Rib Hash on the show. “Hash isn’t just for breakfast anymore,” Capon agreed with Rachael, who said it is good at lunch or dinner as well. One of Capon’s great secrets is to save pan drippings and juices from cooking the original meal. These are rich in flavor and make a great base for whatever you are preparing next time with the leftover ingredients. The biggest trick is to keep your leftovers moist when you are turning them into a new Rollover Meal. 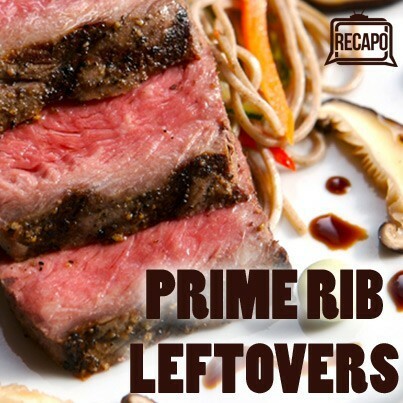 Rachael Ray’s friend Josh Capon showed how you can make leftovers last with rollover meals like his Prime Rib Hash Recipe, which his family loved! Josh Capon’s wife said she liked the rollover hash even better than the original meal! What leftovers or recreations do you think taste even better the second day? The first one that comes to mind for me is turkey sandwiches after Thanksgiving. Heat oil on medium high in a saute pan. Caramelize onion in the pan. Next, add beef and cook until heated through. Season with salt and pepper. Don’t move the meat around while it is browning. Separately, in another saute pan, cook eggs as you like them (Josh prefers sunny side up), seasoning with salt and pepper. Place a serving of hash on a small plate. Top the pile with an egg, served with avocado, pico, and warm tortillas. Garnish each serving with cilantro, sour cream, and lime wedges.